With its sleek exterior and distinctive interior, the Crossfire has been an iconic part of the Chrysler range for as long as we can remember, in fact, despite going out of production in 2007, spawning 2004 to 2008 models, the Crossfire is still very much a ‘most wanted’ sports car. For Chrysler Crossfire owners maintaining your vehicle’s high specification look is easier than you think. 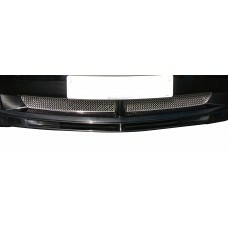 Here at Zunsport, we design and manufacture front grille sets, upper grille sets and lower grille sets for Chryslers in a standard and, for an extra cost, black finish. 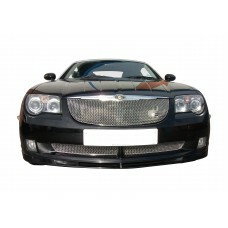 Our Chrysler grilles are priced from £82.20 and can be fitted quickly and easily in just 25 to 50 minutes depending on the type of grille set you require. Craftsmanship and high quality materials are at the heart of everything we do at Zunsport, whether you need a front, upper or lower set for your Crossfire, our Chrysler grilles are guaranteed to blend with the original design of your vehicle. 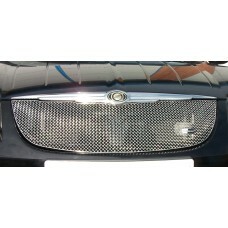 Finding a grille to suit your Chrysler Crossfire - Front Grille Set isn’t always easy, but here at ..
Finding a grille to suit your Chrysler Crossfire - Lower Grille Set isn’t always easy, but here at ..
Finding a grille to suit your Chrysler Crossfire - Upper Grille isn’t always easy, but here at Zuns.. The Chrysler Crossfire Retractable Trunk Cover is an iconic vehicle make and model but the overall ..